Do you have employee development strategy? drive for employees in Engagement . Employee Engagement is viewed isolated activity. In fact, you can’t separate employee engagement from your whole talent management practices. In every HR process, you have the scope in engaging your employee. Company should have the right development strategy. Most of the companies take their training target in man-days. HR professionals just organize training to complete man-days without focusing on development and results. Some companies even do not have their budget for training. Employees grow in an environment where people have opportunities to learn, grow professionally, and develop skills that lead to advancement and career growth. To have the proper level of engagement organization must invest some time and money in training managers at all levels to think this way, delegate more responsibility and do it skillfully, give frequent skillful performance feedback, coach people through mistakes (rather than blaming & shaming), confront in a caring, concerned manner when performance does not meet expectations or behavior is unacceptable and get a commitment for change, follow-up to assure the change occurs and reward it with recognition and gratitude when it does occur or confront again if it does not occur, agree upon what will happen and the consequences if it does not. Managers need to develop relationships with each employee to learn each person's values, goals, and passions and assimilate this in development strategy. To do this all, you should have the proper agenda of Learning & Development. 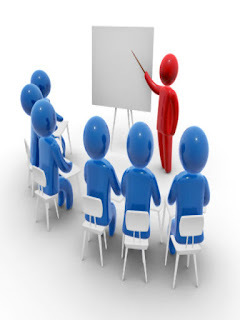 Companies have their target of training man-days, but they do not assign the budget to this process. They have internal trainers and train employees on technical skills internally. But when it comes in real employee development, there are budget cuts. You need to focus not only the skill enhancement training, but overall development of employees. If you have anything to enhance, enhance their personality to take more responsibilities. I do agree with you, if an employer can honestly invest on development of its manpower then employee do give it back to organisation in terms of higher productivity and engagement. Also to identify what kind of training is required for a particular employee, it is better to have a matured performance system in place so that employees training need can be identified with respective to KRA a person need to deliver. Thanks for your inputs on this subject. Very true , when organisation takes care of the over all development of an employee , it leads to highest level of job satisfaction. this is so good in information.thanks for sharing us. Very informative article about the dot supervisor training online which is about the supervisor training online and i must bookmark it, keep posting interesting articles.